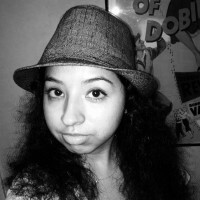 Born and raised in Los Angeles, Ana Christina is a huge consumer of pop culture, fedora hats, and Chai tea lattes. A recent graduate of Loyola Marymount University, Ana Christina Perez is currently working on the original web series DE COLORES as the head writer/director. You can find Ana at the movies, on her couch watching television, and on her bed listening to Britney Spears on Spotify (the greatest modern invention). You can follow her @AC_Perez_DelRio.